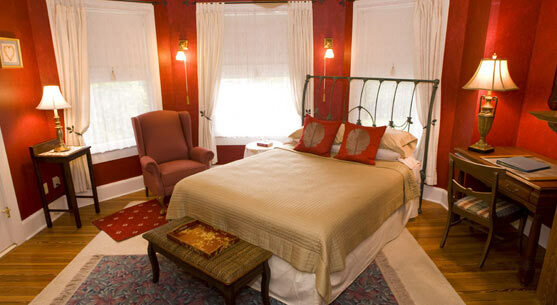 “A Fabulous Mid-week Respite” – I recently spent two nights mid-week at the Thurston House. It is conveniently located for easy access to a wide variety of cultural activities (the Enzian independent movie theatre, the Cornell Fine Arts Museum at Rollins College, The Morse Collection in Winter Park, the Mennello Museum, The Maitland Art Center, etc., ). Carole is a knowledgable and gracious hostess as well as an excellent cook. Breakfast was sumptious and filling. The hot and steamy weather precluded enjoying the lovely wraparound porch and the relaxing hammock on the second floor porch as much as I would have liked, maybe next visit. “Winter Park Area Gem” – Minutes from bustling Orlando sits a charming pleaceful bed and breakfast with outstanding attention to detail. Innkeeper Carole Ballard goes over and above to make each guest’s stay just right. Historic, breautiful and perfectly located. Rollins College & UCF. Near Winter Park as well. “1 night – wanted more!” – Greeted on the porch by Carole and Joe. Friendly and hospitable. 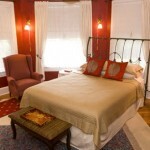 Beautiful room, peaceful and quiet- newly furnished 1800’s home- Beautifully decorated- spacious. Lake, train in distance. Perfect! Delicious breakfast!